ROVER PART NUMBER IS DFD10050NDD WHICH HAS CHANGED PART NUMBER TO DFT10016. 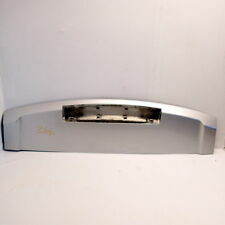 THIS IS A REAR TAILGATE SPOILER TO FIT A. Removed from a 2000 ROVER 25 1.4 I 1396. FOR YEARS: 1999, 2000, 2001, 2002, 2003, 2004, 2005 (2000). Condition: GOOD. Credit Cards; Debit Cards; Cheques/P. We Do Not Cover Any Labour Costs Involved With Fitting Or Removal Of Any Parts. 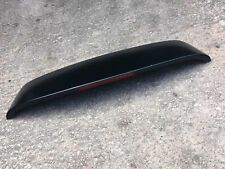 Rover 25 / MG ZR Rear Spoiler in Black. This part was removed from a 20033 Door Hatchback model and has a part number ofDFD000010XXX. Wing Mirror. High quality products at amazing prices. Dedicated Support. Genuine Rover part in good used clean condition brake light working.